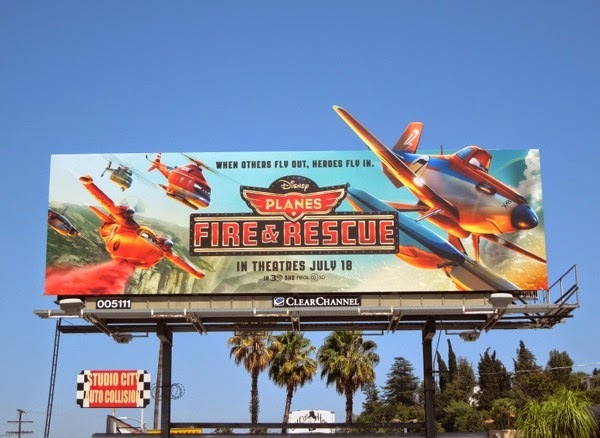 This Summer Disney's Cars spin-off, Planes, gets a sequel in the form of Planes: Fire & Rescue, not only to keep the fans happy, but also keep the merchandise flowing at the Disney stores and theme parks no doubt. 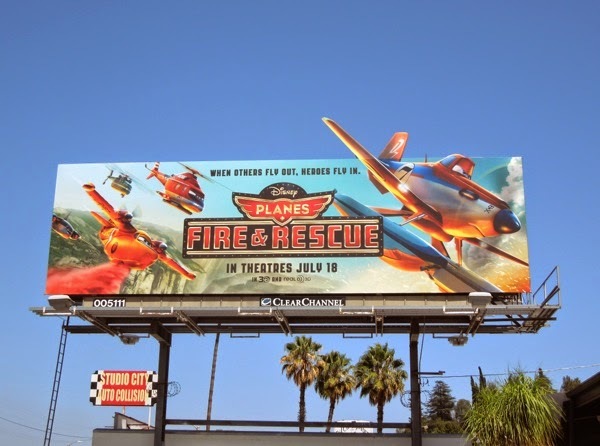 In this aerial outing, 'Dusty' discovers he may never race again when his engine is damaged, so he joins forces with a veteran fire and rescue helicopter called 'Blade Ranger' and his firefighting team to discover what it means to become a real hero of the skyways. 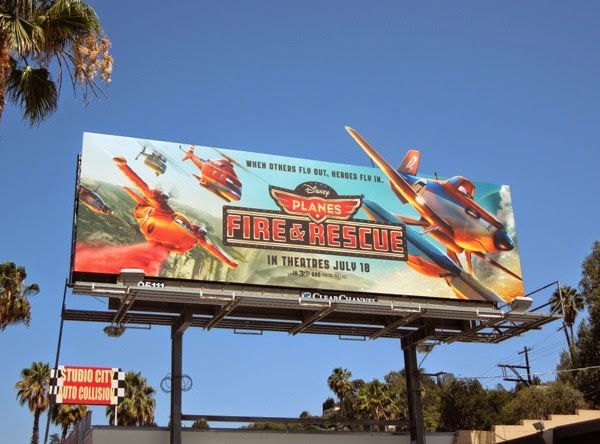 This billboard showing Dusty and his new pals in action was spotted along Ventura Boulevard in Studio City on June 27, 2014, and if you're a fan of the original movie, be sure to check out these Disney Planes film billboards from last Summer. 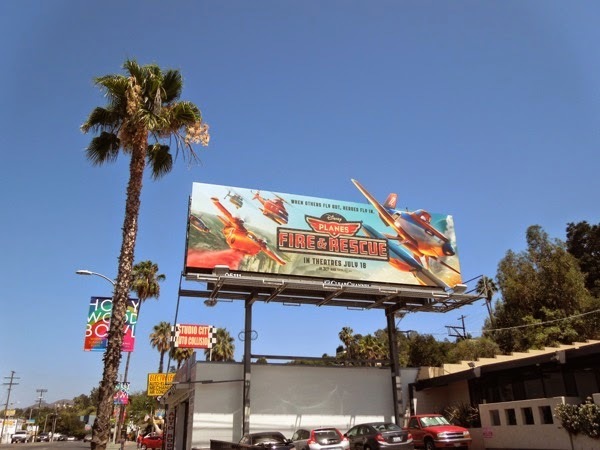 Plus if you're a Disney fan, be sure to also take a look at all these other Disney-themed billboards from around the skies of L.A.